1. Without enough substantial research stating that HGH therapy causes cancer, one cannot assume that the two are related. 2. Doctors do not prescribe human growth hormone HGH therapy for cancer as the only treatment for the disease. 3. HGH treatment can help with the symptoms that can hit a person naturally due to cancer and its conventional treatment. At the same time HGH injections can help with the intensified aging symptoms that go along with cancer. 4. There is not enough evidence to prove that HGH prevents cancer or stops all cancer cells from growing. Although HGH therapy may not be the main treatment for cancer, it has proven to be able to control symptoms related to the disease. Making sure that one’s hormone levels are balanced is a great way to feel better while dealing with the sickness and the different kinds of treatment that can have awful negative side effects. When a patient is getting radiation or chemotherapy for cancer, HGH subcutaneous injections can help the person to feel better, stronger and more alert. It can help to fight natural aging symptoms at the same time. In and of itself, can HGH cure cancer? Most experts would say no. What it can do; however, is help relieve symptoms of the disease and of its traditional treatment(s). There is mixed information in the literature. Many research studies speak to the fact that HGH therapy does not cause cancer. There may be articles relating HGH to prostate cancer, testicular cancer or to breast cancer, but the there is simply not enough evidence to make the conclusion that one causes the other. When patients who have cancer speak to our clinical advisors, they may often ask about HGH and cancer cells. Our advisors can only share what is already written and published in very prestigious journals from all over the world – there is not enough evidence to suggest that HGH might help cancer cells to grow, multiply or increase. When a patient takes the correct amount of prescribed HGH and is medically supervised by their doctor, he or she should not have to worry about HGH cancer risk. We want all of our patients to feel confident that they are taking the right amount of medication to help reduce aging symptoms. We want patients to see and feel a great change in their quality of life whether they have cancer or not. An article written in Clinical Endocrinology stated that the risk of a patient using HGH and developing cancer is the same for those who do not use human growth hormone. The study could not prove that there is a strong correlation between HGH therapy and cancer. We have already discussed the lack of substantial research in the literature that can prove in any way that HGH therapy can cause cancer. So, how would a patient who has cancer benefit from HGH treatment with human growth hormone injections? Although HGH therapy for cancer is not something that a doctor directly prescribes, it certainly has proven itself to help those suffering with the combination of cancer and a growth hormone deficiency. For more information about how you can become a patient of HGH therapy if you have cancer, please fill out our online contact form. 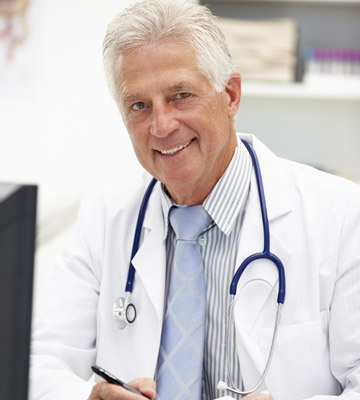 Our expert clinical advisors will call you at your convenience to help educate you about HGH therapy and cancer.